Back to Boom or Bust Fridays? 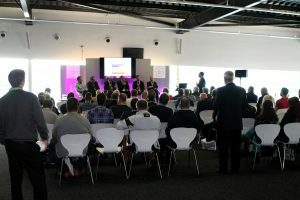 Just a few years ago now, a group of legal representatives, conveyancing experts and estate agents was lined up on stage at the Movers & Storers Show to debate the issue of Friday house sale completions. We felt it was fair to say they were visibly shocked by the feelings of over 60 movers who gathered to put the industries point of view. A few years on and another report has been released, this time from Sellhousefast – the direct house purchase agency, who have analysed Land Registry data of homes sold in the UK in 2016 and discovered that over 40% of all transactions still complete on a Friday! In the remainder of the week during 2016 20% of homes were transferred on Thursdays, with the least popular day being Tuesdays. So why has nothing changed? According to our contacts in the removal industry, whilst the situation remains more or less unchanged, everyone now seems to be coping with it. We are wondering if this is a situation that everyone involved feels cannot be changed and therefore there is an acceptance, rightly or wrongly, that nothing can be done so just make the best of it! Over the next few months we intend contacting everyone who took part in that debate to see how they see the ongoing situation and we’ll report back our findings to you. In the meantime perhaps you guys should take a leaf out of travel agents’ philosophy and price keenly on Tuesdays and load the price for Fridays and Thursdays (equivalent of booking your holiday in or outside of school holidays)? Or perhaps you are already doing this?